WhatsApp is a popular messaging apps in this virtual world. It’s very famous for lightness and user friendly interface. You can send messages without any cost also you can make voice call without spending money. You can use it in your PC to. 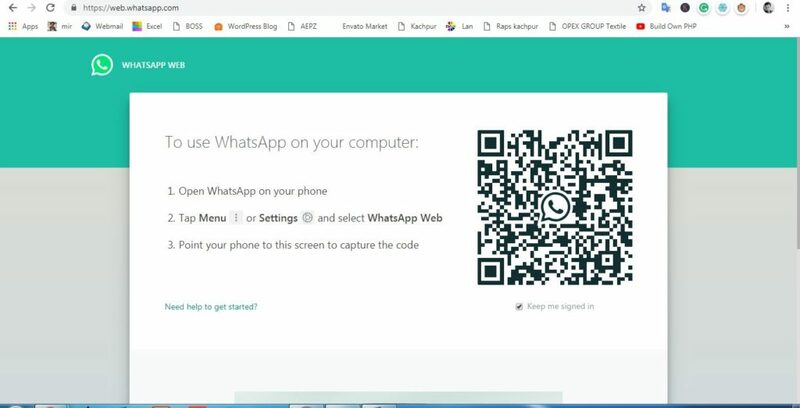 How you can use WhatsApp on your PC? Without install whatsApp on your mobile there is no system to use it on PC. WhatsApp need to open on your mobile. Then go to chat screen menu and open it on the web. There you find a QR Code and scan this using your phone. Then WhatsApp automatically open on the browser. How to LogOut form PC ? Open the WhatsApp app on your phone . Then open the Chats screen and click menu WhatsApp Web. There you can view any computers you are logged in before on and you can log out that session. For this option you can login from anyone device and just need to clear your session on your mobile . Automatically you logout form that. All things is your control . It makes your life more easy. If you like my blog post. Don’t forget to share. It’s inspire me to create new post.